Looking For Spiritual Strength and Fulfillment in a Challenging World? Jon Can Make a Difference. Jon offers a variety of services from his range of experience. Click the icons to learn more. I specialize in Pastoral Biblical Counseling, developing healthy habits and behavior, and setting the direction for a great future. I offer a free 20 minute consultation to inquire about the types of pastoral counseling services available. Click above to learn about counseling. I am a certified Life Coach and can serve you by offering one-on-one or group coaching. For more than 32 years, I have been training thousands of people the meaning of becoming a true follower of Jesus Christ and the deeper meaning and purpose that brings into one’s life and destiny. When this is followed and applied it leads to great effectiveness in life, relationship, family, work and all others areas of life. I offer a free 20 minute consultation to share the available coaching options. Being a pastor is one of the most incredible and challenging professions. My desire is to support you as a fellow pastor in finding your own personal balance and also ideas on how to more effectively serve in your church to maximize the spreading of God’s Kingdom. I offer a free 20 minute consultation to share the available consulting options. Call Jon Today For a Free 20 Minute Consultation! Helpful, skilled, trusted. Jon is ready to serve you. Jon is determined to lead people on a personalized path to happiness, joy and freedom. His journey has prepared him to be the counselor, coach or consultant that you need. He has experienced success in leading larger churches, but is now determined to focus on individuals or small groups of people to lead them with the model that Jesus has given us to "make disciples" who understand the true meaning of what it means to love God, self and others. The following segment explains some of his journey. 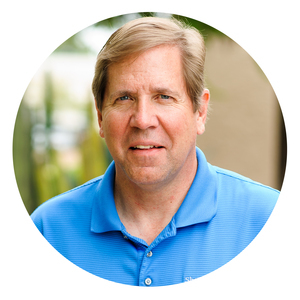 Jon has been a pastor for over 32 years and has served in New York, Utah, Arizona and Michigan. In those four states he has served five churches and assisted with helping others. The churches that he has served over the past 32 years saw their collective average weekly worship attendance increase by more than 2,000 people. Jon has led eleven building projects and land acquisitions in addition to leading the capital campaigns to finance the projects. The budgets in all of the churches he has served have doubled in offerings and school tuition. He has encouraged these congregations to live strongly in the Word of God and follow God’s calling for their lives. He has been a part of growing church staffs (his last church saw an increase in the size of the staff from 30 to 90) and helping them succeed in building God’s Kingdom. As people grew in the Word of God, so did their lives of service through local and worldwide missions. Many of those who were a part of the churches he has served have become full time pastors, Christian teachers, youth workers, church staff members and missionaries around the world. He attributes the success he has seen to the power of God’s Spirit and Word empowering and directing their lives to build God’s Kingdom. He is the proud father of two children, Katie and David, who live in Colorado. Jon is now called to not only help pastors and churches, but to serve couples, men or small groups to help them find deeper significance and purpose. With 32 years of experience, he offers many ways to help you overcome life’s challenges and find greater freedom and fulfillment. Is your goal in life to be happy, joyful and free? What is stopping us from having a life like that? Jesus said, “I have come to give you life and life to the full (John 10:10)”. Are you ready to have the life that God has always wanted you to have? My desire is to help people get on the path that leads to a greater hope and future (Jeremiah 29:11). See What Everyone Has to Say About Jon! Pastor Jon’s leading and teaching focused on the ministry and deep teachings of Jesus. The sessions also offered opportunities to dive deeply into the topics and have group discussions that enhanced the learning process. His approach made the message come alive. I recommend Pastor Jon’s approach combined with his leadership, teaching ability and strong evangelical knowledge in conveying Christ’s message. I have attended Pastor Jon’s group for the past six years when he took over as leader. He has a unique ability to tie the Bible into everyday living situations and get input and feedback from the group. Over time we have all formed a spiritual brotherhood of caring and praying for one another. I believe all of this occurred because of the spiritual leadership of Pastor Jon Bjorgaard. Contact Jon to with any questions, or to learn more about how he can serve you.